I’ve been to Iceland. Some photos are here. 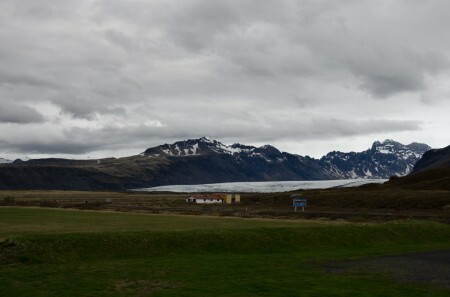 This entry was posted in Iceland, Pictures, Travel on 2013/06/11 by omu. It’s spring, which is traditionally known as a good time for cleaning. In our digital age, it’s only natural that a proportional amount of time be dedicated to the cleaning of digital things, i.e. internet blogs. 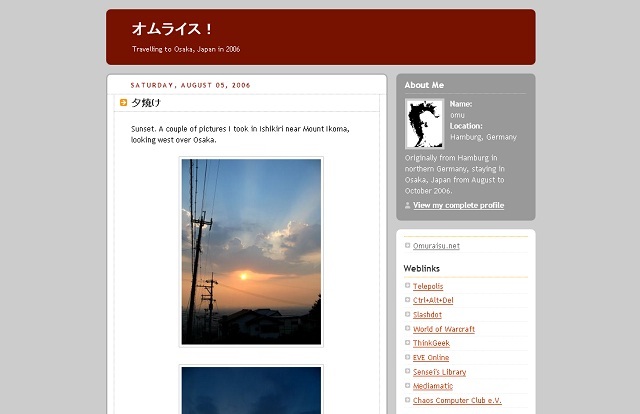 After someone special suggested it to me, I decided to merge my old blog – which contains the pictures I took in Japan in 2006 – with this site. So after the usual administrative stuff was done (WordPress update, plugin updates, database backups), and I had found a way to organize the pictures properly, I spent the last few hours with replicating the old posts. The result is quite nice in my opinion. If you feel like revisiting (my) Japan, feel free to do so here, at the first post in the series. Also, this is not an April fool’s joke. 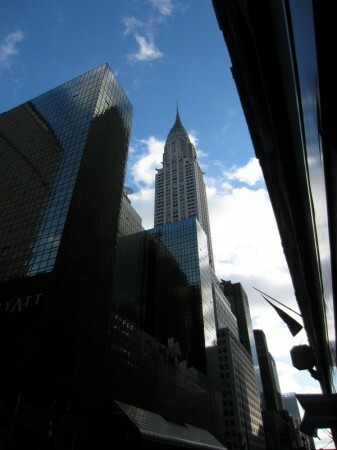 This entry was posted in Announcements, Pictures and tagged Japan 2006, Update, WordPress on 2012/04/01 by omu. 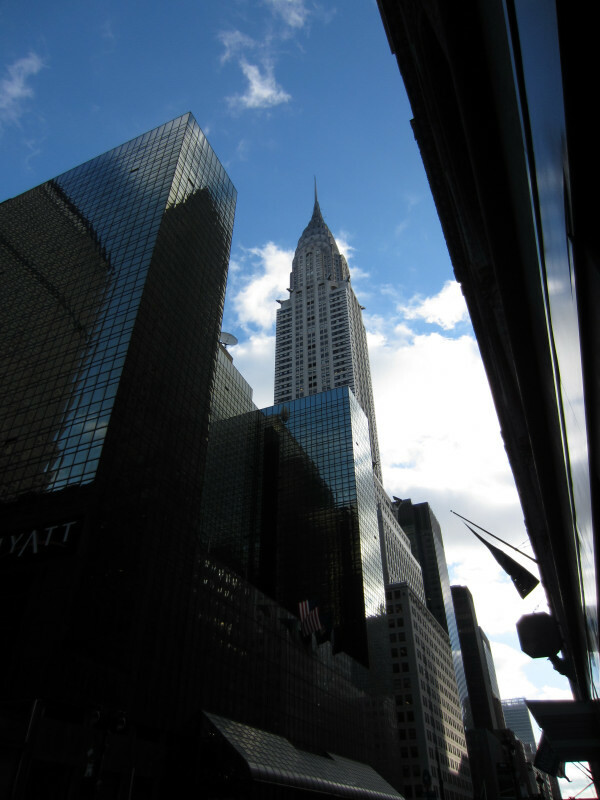 Testing some CSS for a post of the Image format. 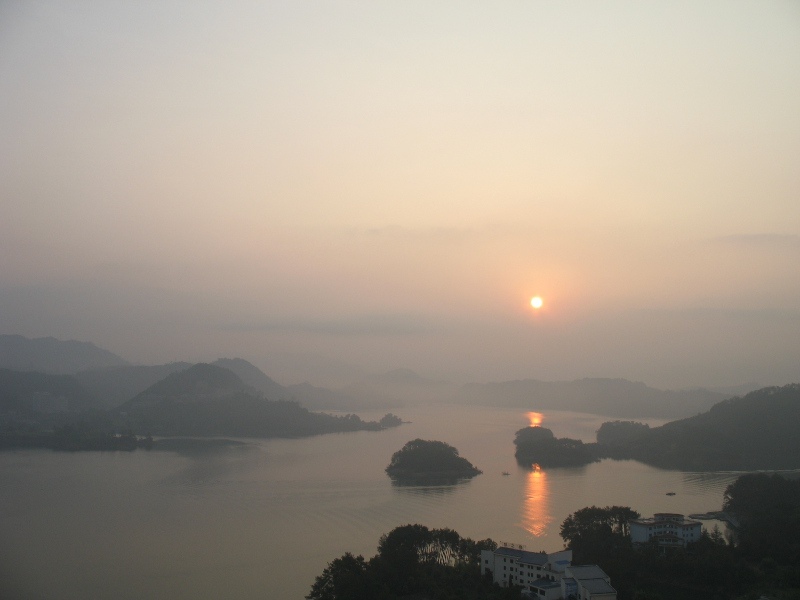 The picture above is from Qian Dao Hu, near Shanghai. Another year has passed, I’m returning again to look after my website… and boy, this doesn’t look good at all. Literally. After running to get confirmation from my girlfriend, the verdict is clear: this website’s style has aged, and it hasn’t aged well. Not only is it green, it also looks totally 2007. Which, coincidentally, was when I designed it. So I decided to overhaul everything, starting from scratch. First, some backend maintenance needed to be done though. Since update 3.2, WordPress doesn’t support MySQL4 databases anymore. I think I already had had the choice to use a MySQL5 database when I started this, but I can’t for the life of me remember why I chose to make do with the older version. Hence, I had to migrate the old database to a new version before I’d be able to do any design work. 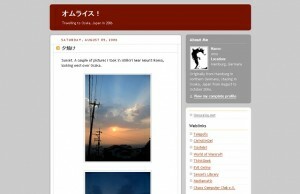 This entry was posted in Announcements and tagged Anniversary, Update, Webdesign, WordPress on 2011/07/26 by omu.